Train: Naga to Legazpi open! Soon again Bicol Express? Yesterday an important part of the Manila-Legazpi railway also known as Metro Pacific or SMC has been reopened. You may remember the famous Bicol Express, it isn’t yet reestablished. 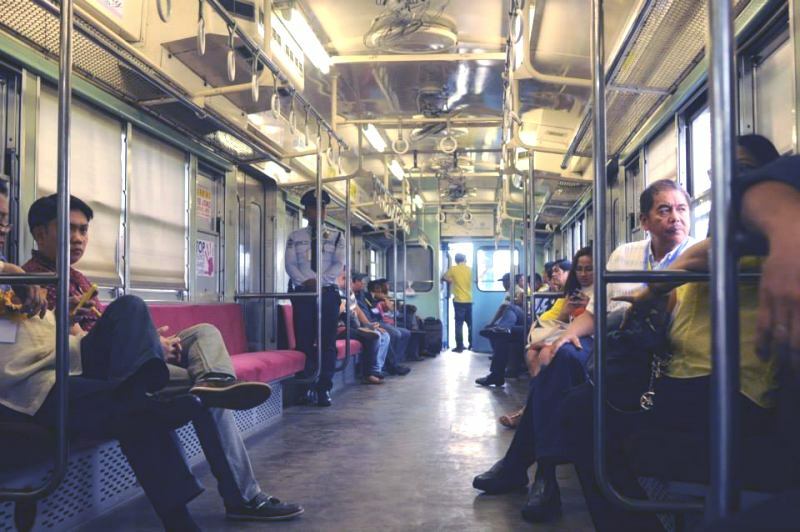 After only 9 months of service in 2012, the famous Bicol Express line had again been interrupted. A landslide interrupted the track in Camarines Norte. Also the last missing part, a bridge north of Legazpi City had been missing. This bridge near Ligao has now been built and the famous train can link again the important Bicol cities of Naga and Legazpi. Read more about the famous Bicol Express. Yesterday the first train plied this route. For the commuters in Bicol it is a real relief. Instead of two hours in a dusty bus on the often blocked highway, they can now ride between the two cities in a rather comfortable train. Comfortable? Comfort is relative. 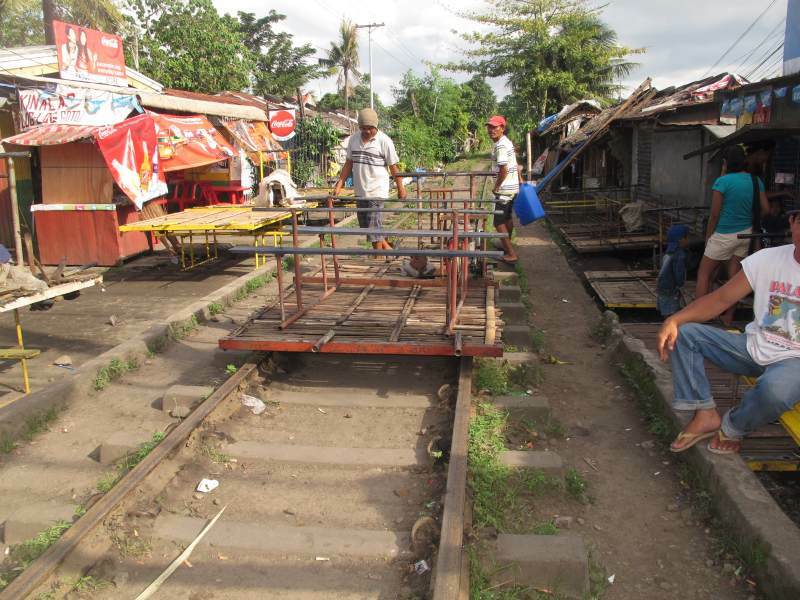 Since the old track broke down, creative Filipinos built their famous pump-motor dressiness and transported commuters in Bicol. 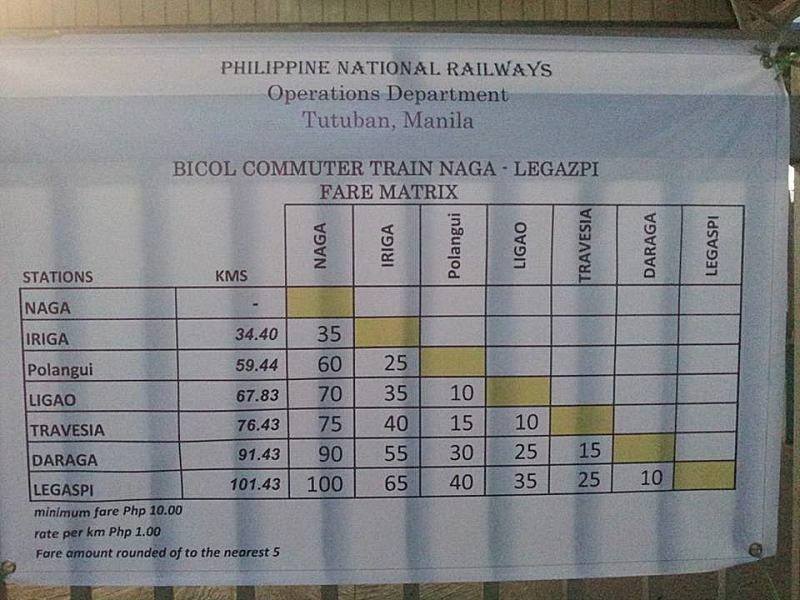 At least for now the trains between Naga and Legazpi have now official rates but where is the schedule? 1 train or 2 trains per day? Communication is still not their strongest suit. 100 kilometers for 100 Pesos is cheap. 1 Piso per kilometer! Where in the world can you travel at that low rate? Despite of this local progress, the big missing link is still Manila to Lagazpi. 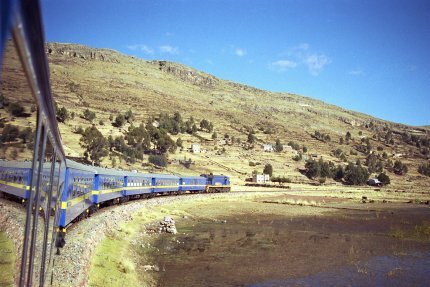 This train would not only be attractive for commuters but also for tourists. Some years ago we outlined a possible solution. But the Philippine’s principle of “next year maybe” is still too strong. You may want to read about the famous “Bicol Express“. Next story Diving & Flying – be cautious !